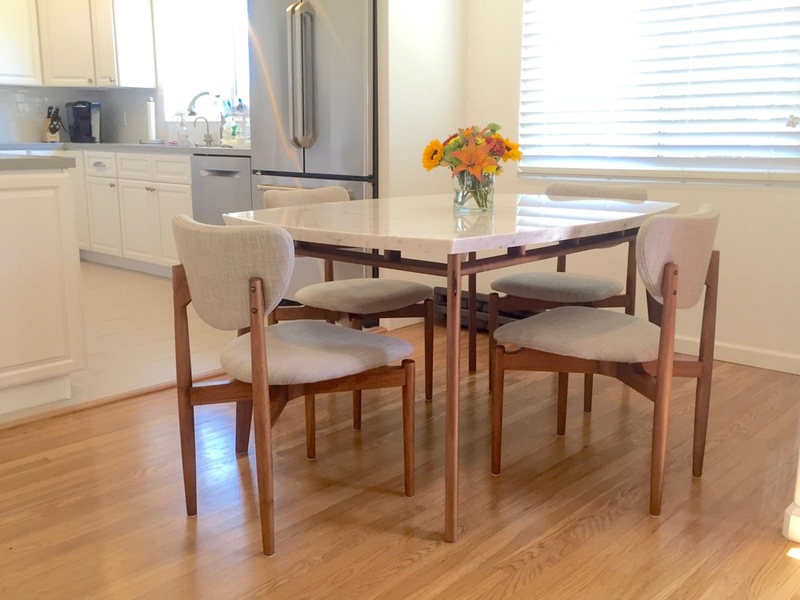 The Ariana table base was designed for a West Coast client, with shipping cross-country in mind. It ships in a flat custom crate. Easy minor assembly is required. Ariana is inspired by the mid-century modern style, with a light aesthetic, yet strong enough to hold a marble top. The table base is crafted from solid walnut, with mortise and tenon joinery. It is finished with a natural oil, blended with polyurethane. The dimensions for the models shown here are 66"w x 36"d x 30"h and 60"w x 36"d x 30"h, as labeled. This design can be modified for a custom fit. See the collection of complementary pieces: the Ariana sideboard and the Ariana chair.